Invasive or intrusive thoughts are completely normal. Studies have shown that almost all of us experience unwanted thoughts on a daily basis. However, we can usually find ways to distract ourselves – they don’t interfere with our lives. 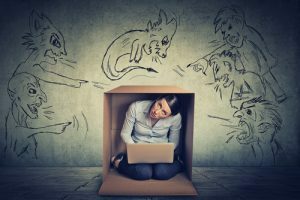 Sometimes however, intrusive thoughts can start to take over someone’s life – they become more than fleeting – they are powerful and at times, ever present. We call these types of thoughts obsessive. What’s happening in our brains? The greatest myth is that having thoughts of a sexual or violent nature mean that you want to do the things that come into your mind. THIS IS ABSOLUTELY NOT TRUE. You do not want to do the things that enter your mind when you have intrusive obsessive thoughts. In fact, generally speaking the opposite is true. People with intrusive obsessive thoughts are generally gentle and non-violent. Obsessive thoughts do not always go hand in hand with full blown Obsessive Compulsive Disorder or OCD. (They are just the “obsessive” part of OCD). 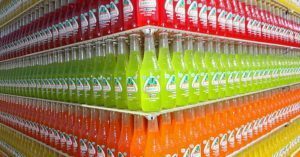 In fact simply having obsessive thoughts is more common than full blown OCD. OCD is when a person carries out certain repetitive behaviours with the intention of neutralising, counteracting, or making their obsessive thoughts go away. They realise (on a rational level) that this is only a temporary solution but without a better way to cope, they rely on the compulsion as a temporary escape. Compulsions can also include avoiding situations that trigger obsessions. Compulsions are time consuming and get in the way of important activities the person values. In some cases they can make life extremely narrow and miserable. I will look at OCD in a future blog. Not surprisingly when our brains are hijacked by obsessive thoughts, it can lead to our feeling both anxious and depressed. 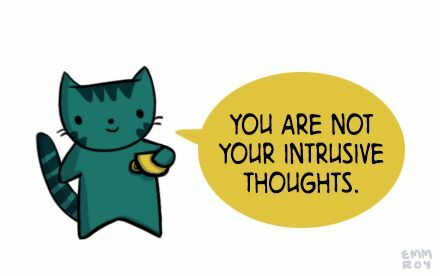 It is also not at all surprising that some of us try to manage intrusive thoughts with alcohol or drugs or other behaviours which may be destructive. In fact studies have found that over 25% of patients with OCD also meet the criteria for a substance abuse disorder. 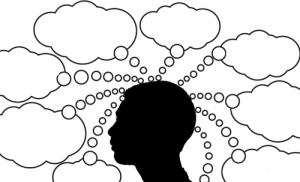 Next few blogs will look at strategies that can help us to cope with obsessive thoughts.